Several persons have been transported to the hospital following a multi-car pileup Sunday evening on Highway 126 near Val Verde. According to preliminary information from the California Highway Patrol, five vehicles were involved in the collision and four persons were ejected. There were no fatalities at the scene of the crash, said CHP Officer Christian Cracraft, but the extent of the injuries is not yet known. 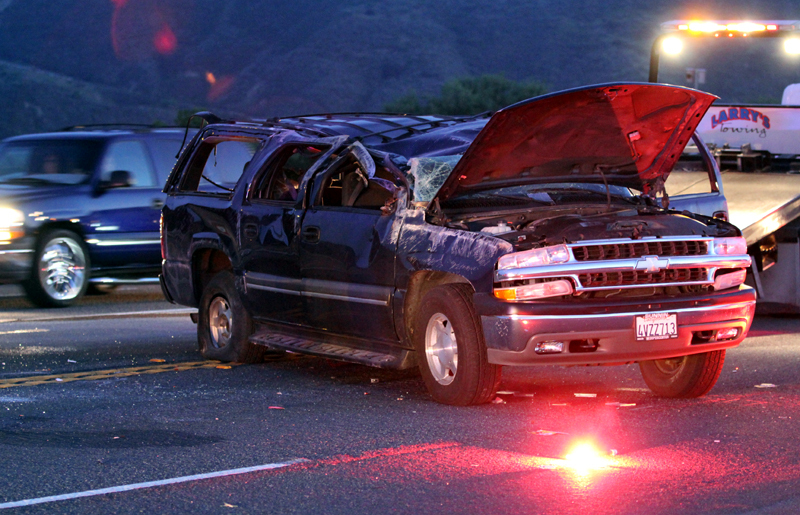 The crash was reported at 6:33 p.m. on eastbound Highway 126 at Chiquito Canyon Road. Preliminary CHP information indicates the vehicles included a blue Chevrolet Suburban SUV, a Cadillac and a Ford of unknown description. Apparently the persons who were ejected were in the Suburban, which overturned and rolled and landed right-side up. All highway lanes had reopened by 8:20 p.m.